It’s not often that a touring artist decides to take some time out from their busy schedule and hit retail to sign for fans, but that’s precisely what Californian hip hop outfit Cypress Hill are doing later this week. They’re giving fans a rare chance to ‘meet & greet’ and get some of their product signed when they hit JB Hifi’s Bourke Street store in Melbourne this Thursday. 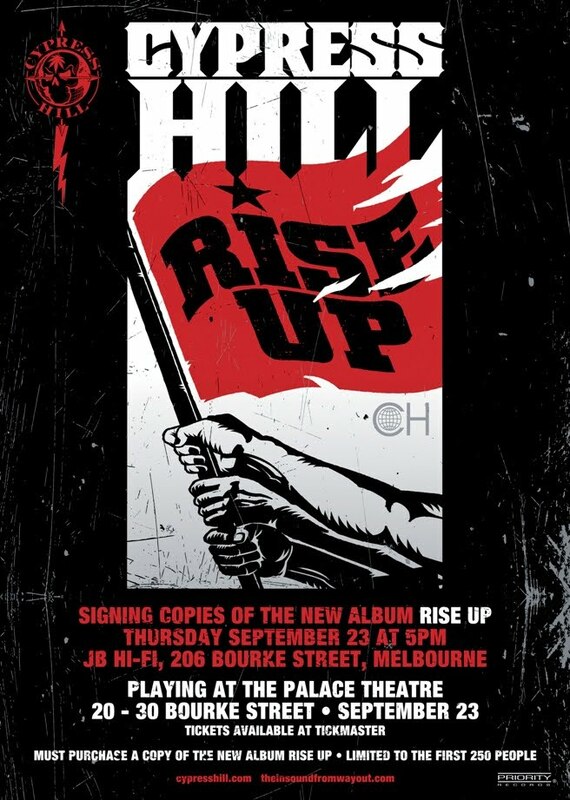 They’ll be signing copies of their latest album ‘Rise Up’ – and only the first 250 people in the queue will get the chance to get their copy signed, so it’s most certainly a case of ‘first in, best dressed’. 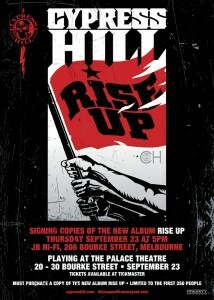 Cypress Hill sign and meet with fans at JB Hifi Bourke Street Melbourne from 5pm this Thursday, September 23. They place the city’s Palace Theatre later that night.